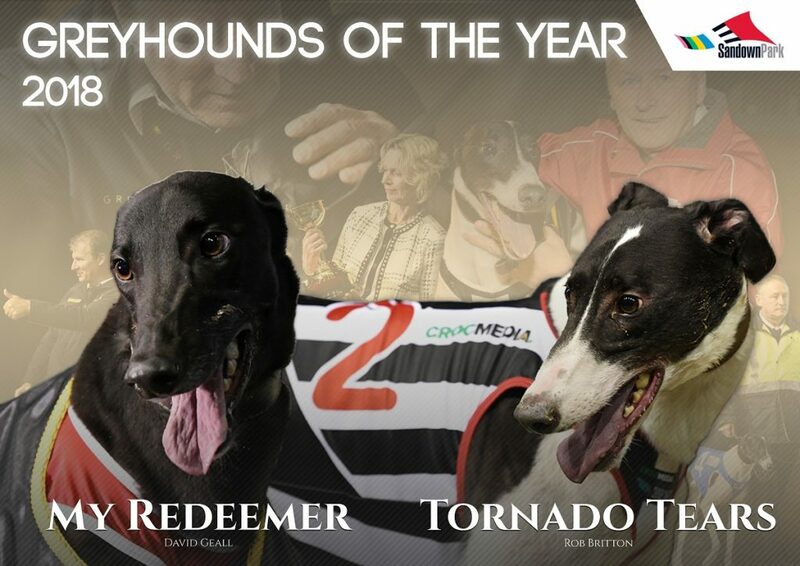 My Redeemer and Tornado Tears have been named joint winners of the 2018 Sandown Greyhound of the Year. The voting panel consisting of the club’s committee, CEO and Racing Manager couldn’t split the pair after each compiled an outstanding record at the View Road circuit throughout the calendar year. Tornado Tears announced himself as one of the country’s most exciting chasers when running 41.20 on his 715m debut – the second fastest time ever recorded – as well as the second fastest time over 595m (33.67). 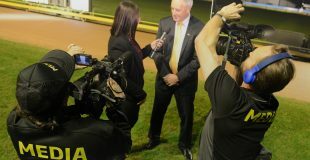 He was undefeated in all six starts over the ‘half-mile’ highlighted by victories in the group 1 RSN Sandown Cup and Crocmedia National Distance Championship. “We had a great ride at Sandown last year all thanks to Tornado Tears,” said trainer Robert Britton. My Redeemer won the group 1 Harrison-Dawson in May before taking out the world’s greatest greyhound race, the TAB Melbourne Cup, six months later. He raced at Sandown Park 14 times in 2018, winning eight times and being placed on four more occasions netting over $575,000 in prize money. “It is a great honour to share the Sandown Greyhound of the Year with a great dog like Tornado Tears, they both had fantastic years,” said trainer David Geall. Poke The Bear was also considered for the for the award after winning 10 times at Sandown Park in 2018 – seven of which were in top grade – including the September Speed Star.